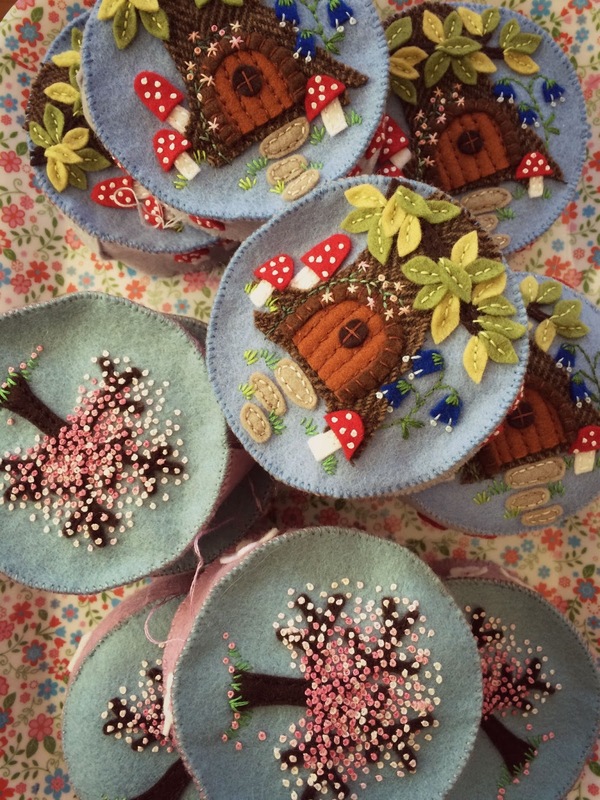 I've been working on pincushions this week and have four cherry blossom and four magical tree stump ones ready for stuffing. 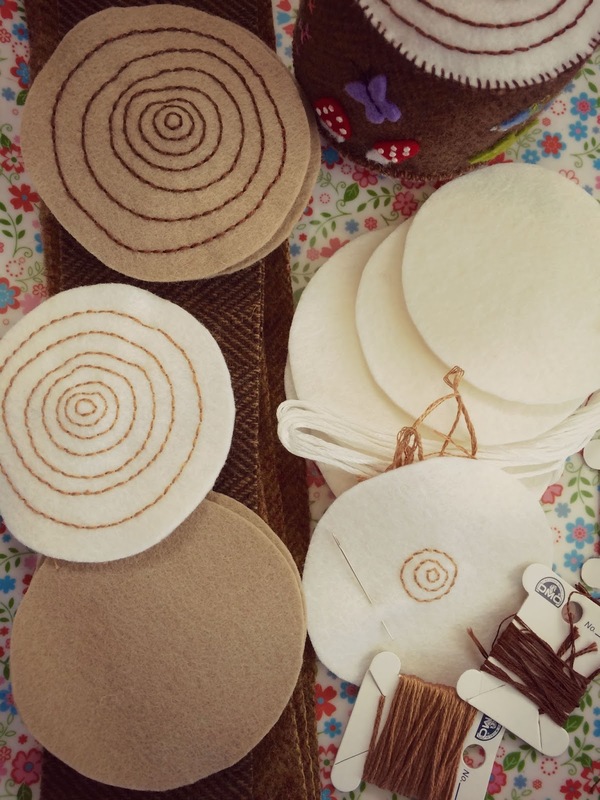 Today I cut out and started on some tree stump pincushions. These have sold well at the shows I have done so I thought I'd make a few for the up-coming quilt show. 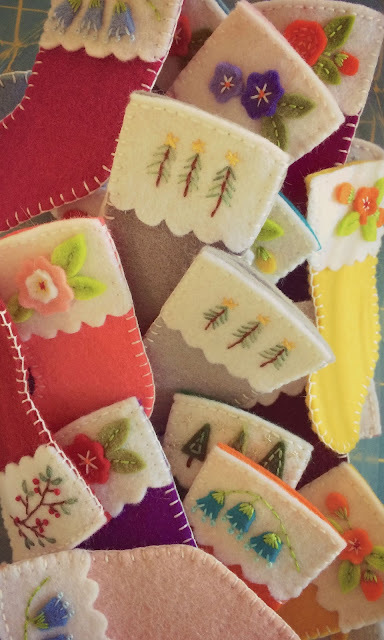 I have a box full of mini stockings and I am trying to decide what to use as the hanging ribbon. Last year I used narrow red ribbon but I wasn't 100% happy with how that looked and I had to use a tiny bit of glue on each knot to stop the knots from slipping open. I'm thinking that I will use some kind of fine natural twine, nothing too chunky though. I'll be working on the tree stump pincushions over the weekend.